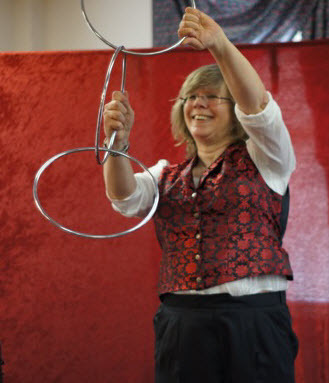 Steph also performs magic at birthday parties, workshops for the Boys and Girls Club of Greater Nashua, and stage shows for schools or organizations. 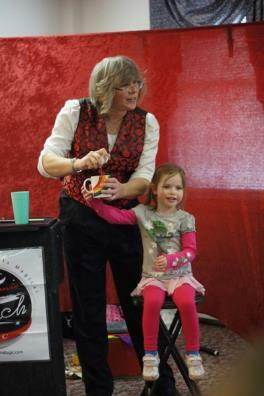 FREE CHILDRENS MAGIC SHOWS EVERY MONTH! We're happy to announce that professional magician Stephanie Beach will be presenting magic shows for children at the Drawbridge Theater on the last Sunday of each month. These half hour productions will be a free bonus with the price of your admission to the puppet shows, and will begin at 11:15, right before the noon public puppet show. So come and enjoy a fun and mischievous 30 minutes of magic with your children at the Drawbridge Puppet Theater. Bring your camera and make some memories with your kids. by catching the puppet show after the magic show. April's features are "Chicken Little" & "The Three Pigs." Due to limited seating, reservations for the puppet shows are strongly recommended. To reserve seats to the Children's Shows, follow the Link below. FREE ADULT MAGIC SHOWS TOO! Join the Magical fun as Stephanie presents a free Magic Show for Adults the final Friday of this month! 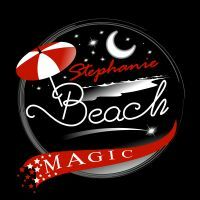 You can be part of this event, participating in the very special magic that Stephanie performs for her mature audience. Comical and fun, you will enjoy her talent and humor. So come and enjoy some fun and mischievous magic as Stephanie presents her 15-minute opening act at the Drawbridge Puppet Theater. Invite your friends for an even better time. There will be a policy of BYOB (Bring Your Own Bottle) during these evening performances. You may of course add to the fun by catching the adult puppet show after the magic show. Now there are two ways to enjoy Stephanie's magic at the Drawbridge Theater: shows for Children and their Families & shows for Adults!